The Friends of Necedah National Wildlife Refuge help provide visitors with an opportunity to view whooping cranes, sandhill cranes, Karner blue butterflies, whitetail deer, turkeys, red-headed woodpeckers, wolves, swans, migratory wildfowl, songbirds and black bear. The Friends of Necedah National Wildlife Refuge are dedicated to providing time and funds to support the many activities of the refuge. As volunteers, we give over 10,000 hours each year to refuge projects and every dollar we receive is returned 100% to fund those efforts. Great News! The Friends of Necedah National Wildlife Refuge have been awarded the 2018 Molly Krival National Wildlife Refuge System Friends Group of the Year. The award recognizes outstanding contributions by a group of dedicated volunteers in Friends organizations who provide essential services to the Refuge System. All of our many Friends around the world share in this prestigious award and we thank you for your generous contributions of time, funds, and encouragement that made this award possible. Description: We try to survey each unit once per week during the second emergence of Karner Blue Butterflies. Surveys require using a smart-phone or tablet to collect data while walking along survey transects. Each unit typically requires walking for several hours and a leisurely in fair weather. Surveys can be done as a team or alone and whenever the volunteer schedule allows. A 4-hour training will be provided on refuge (typically late June). Typically volunteers “adopt a unit” and survey it once every 7 days throughout July. Why this is important: This data is used by the refuge to estimate the number of Karner Blue Butterflies on the refuge. The data is also used to guide management actions to improve Karner Blue Butterfly habitat. Description: The Water Action Volunteer program was developed by the UW-Extension office as a citizen science project where people can help monitor water quality in streams in their community. The refuge has several official WAV sites designated along the Little Yellow River. We try to monitor the sites at least twice a month but more is great. Monitoring consists of visiting the stream site, wading in the water to collect water samples, measuring stream flow and water depth. A day long (~6 hours) training will be provided on refuge (typically late April). Monitoring is best done in pairs but the more the merrier. Typically volunteers “adopt a WAV site” and visit it as frequently as their schedule will allow, or after rain events. Data are entered into State and National water databases and are available for scientist and conservationists in the future. Why this is important: The refuge is interested in restoring the hydrology of the Little Yellow River by changing it from a ditch back into a meandering stream that provides important habitat for fish and wildlife species. It’s important for us to have data to show how the restorations changes the system. Unfortunately we do not have the basic information we need to understand the hydrology of the Little Yellow River now. We need these data to restore wetlands and minimize downstream flooding. Description: This is a new monitoring project we are starting in conjunction with the Student Chapter of the Wildlife Society and the University of Wisconsin Stevens Point. The surveys will follow the WDNRs protocol for monitoring Whip-poor-wills and other nightjars but may be tailored to help us better understand how our management actions on the refuge influence where whip-poor-wills can be found. The surveys occur at night during “full” or “near full” moon phases and consist of driving and stopping along a survey route. The work will be best done in teams but can also be done solo. Data will be collected and analyzed with UWSP students, with oversight from Refuge staff and UWSP professors. Students will be asked to provide a written annual report and a presentation of findings for the refuge staff, volunteers and public. Why this is important: Eastern Whip-poor-wills were once very common throughout their range but their populations have declined rapidly in many areas. Despite being very vocal, the species camouflage and secretive nature make them difficult to study. Ecologists don’t know very much about the species habitat needs, survival or predators. The central sands region is one of the last strong holds for the species and offers us a very good opportunity to learn about, and manage for the species. Description: Bumblebeewatch.org collects photos citizens have taken of bumble bees and verifies the species in the photo and stores the information in a centralized database for scientist throughout North America to use. From the refuge’s perspective the project will provide us with a baseline inventory of the species are found here, how common they are and to some degree the types of vegetation they are found in. In addition, if species like the Rusty Patched Bumble bee is located it will allow us to tailor management and monitor for this endangered species. Volunteers would be able to take photos at their leisure throughout the refuge and input those photos into the database from home at their own convenience. Why this is important: Pollinators are of high conservation concern globally and unfortunately very little information is known about their populations and distributions. These insects provide a fundamental service through pollination of many native plants and most crops as well. The refuge may be home to the endangered Rusty Patched Bumble Bee but we have not had enough resources to look. Description: Wild Lupine Flowers in May and June then pollinated flowers become “pea pods” in mid-June. Seed pods typically “pop” in the summer heat and throw their seeds a short distance where new plants start. When pods are ripe but before they pop, we can collect them, dry them, catch the seeds and transport them to recently restored area where Lupine hasn’t been established yet. Volunteers can collect pods (June), transport them to the drying racks in the greenhouse (mid-July), separate the seeds from the chaff (mid-July), store them in the biology lab refrigerator until they can be sowed into the units after the first snow. Why this is important: Wild lupine is the only thing Karner Blue Butterfly caterpillars will eat and is very important to the recovery of this endangered species. Wild lupine is a perennial (it will come back every year) but it take a long time for it to colonize new areas without a bit of help. Friends Announce Speakers Bureau opportunity. 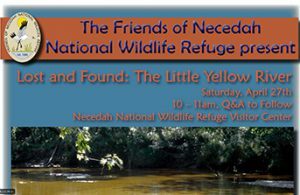 The Friends of Necedah National Wildlife Refuge have developed an informative and entertaining presentation for service clubs, senior citizen centers, and other community-based organizations interested in what’s happening at the refuge. Our team will come to your meeting and give your group insights into and views of our 44,000 acres of wildlife habitat. If your group is within a 50-mile circle of the refuge, email us at contact@friendsofnnwr.org to learn more details. Leave a phone number so we call call you about scheduling. Thank you for visiting Friends of the Necedah National Wildlife Refuge. Founded by a small group of dedicated volunteers in 1999, the Friends have grown to almost three hundred members around the world. We are nationally recognized for our innovations and initiatives in volunteerism. Our mission is simple: We take a leadership role in promoting public use and enjoyment of our refuge by encouraging and facilitating environmental education and community outreach. We give our time, talent, funds and spirit to support the Necedah National Wildlife Refuge’s work and conservation efforts while advocating for the broader mission of the United States Fish & Wildlife Service. As a 501(c)3 non-profit organization, all contributions as tax-deductible to the full extent of current law. 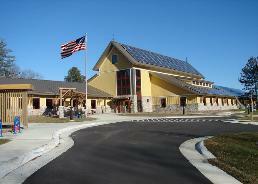 Take a leadership role promoting public use and enjoyment of Necedah National Wildlife Refuge. Encourage and facilitate environmental education and community outreach. Give our time, funds and spirit in support of the Necedah National Wildlife Refuge’s work & conversation efforts. 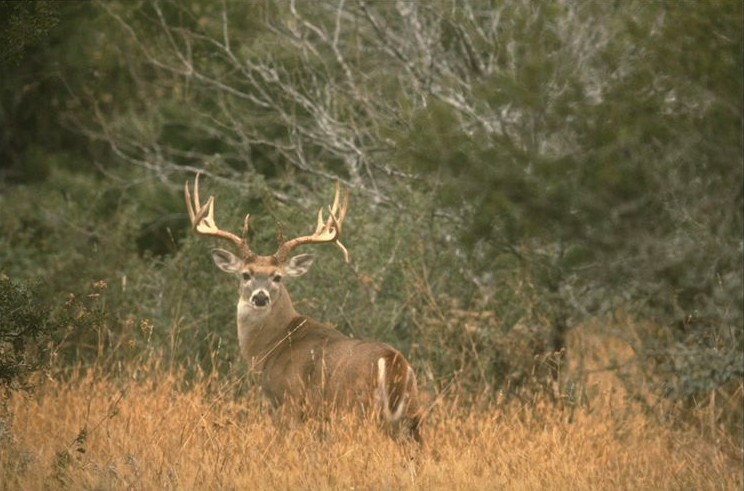 Advocate for the mission of the United States Fish and Wildlife Service. The need for volunteers for a variety of activities at the refuge is greater than ever.. Please go to the GET INVOLVED page for your chance to volunteer this year. Thanks to the efforts of Whooping Crane Eastern Partnership, the recovery is working great. Check out their website for the latest news. Whooping Crane Eastern Partnership. For additional information on the whereabouts of other whooping cranes please visit the Wisconsin Department of Natural Resources. of Milwaukee, Wisconsin. The refuge lies north of Highway 21 and west of Highway 80, with all but a few acres in Juneau County. miles west on Highway 21 from Necedah, Wisconsin. Turn north onto Headquarters Road and travel about two miles to the headquarters.